We love prom season! Pretty pups in pastel gowns headed to The Lofts at Prince in SoHo this past weekend for the puppy version of the annual high school dance. And dancing they did! Who let the dogs out? It was Bobbi Mitchell and her sidekick Roberto Negrin who planned and executed this fete to benefit Metropolitan Maltese Rescue. Last year’s event raised close to $1,500 for animal rescue! 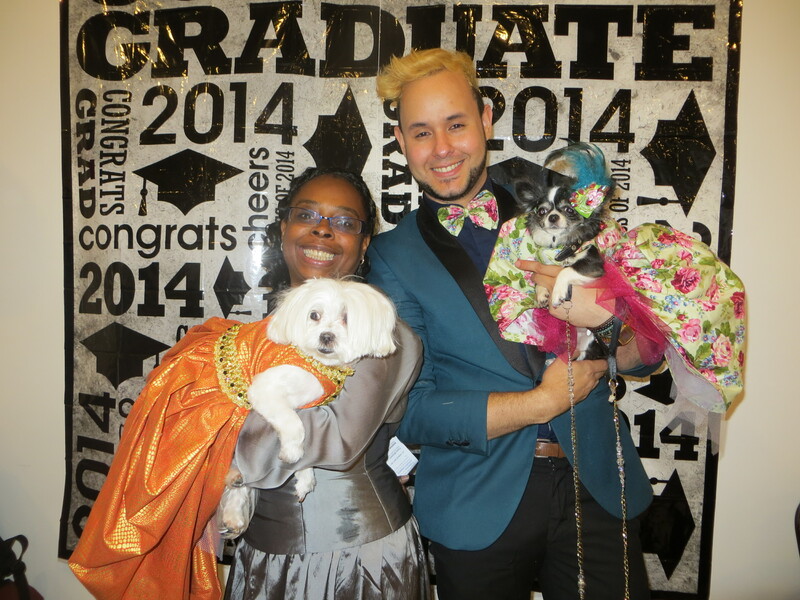 No strangers to puppy proms – I think this is our 6th dog prom!! – this year’s party was our favorite so far! The DJ was so much fun! Paw shuffle anyone? Beautiful doggies, gorgeous gowns, treats, raffle baskets, vendors, goody bags, contests . 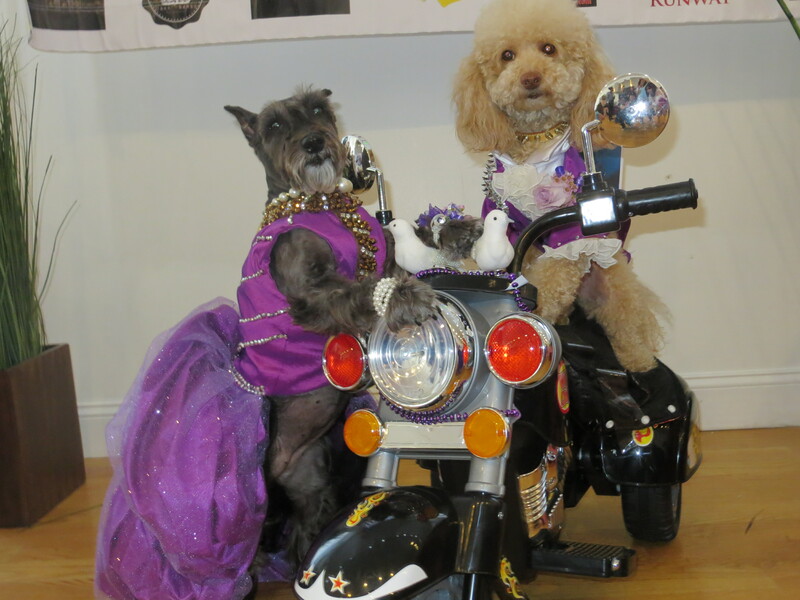 . . the 3-hour event went by quickly and culminated with the crowning of the 2014 Puppy Prom King and Queen. 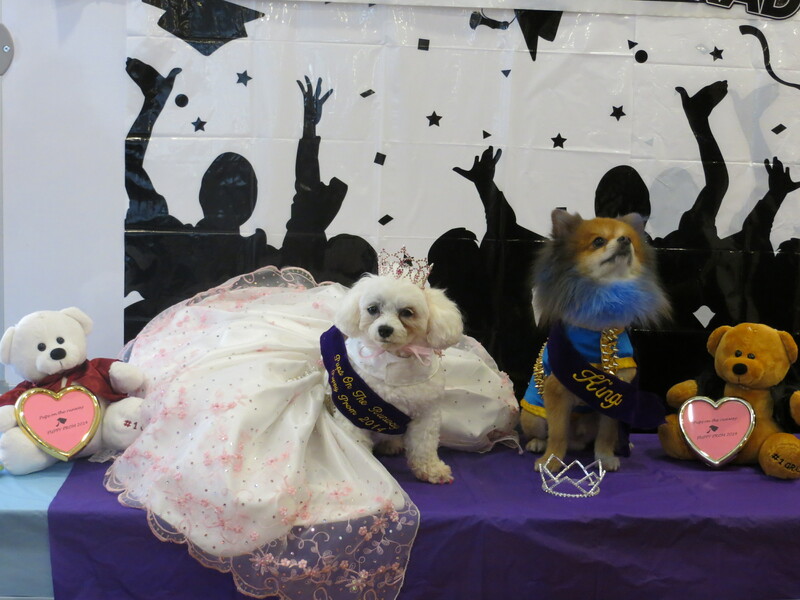 Maltese Bella Mia and Pomeranian King Tut won the Pups on the Runway Puppy Prom crowns this year. Bella Mia wore a beautiful white crystal PinkPunkPuppy gown, and King Tut was fabulously and colorfully groomed by his dad, Ruben Santana, a professional groomer. The prize package included purple sashes and lots of goodies. Cruising into the event on a mini motorcycle, Bee Bee and Lily won best couple with their beautiful purple-themed attire by Hec-Lin Couture. 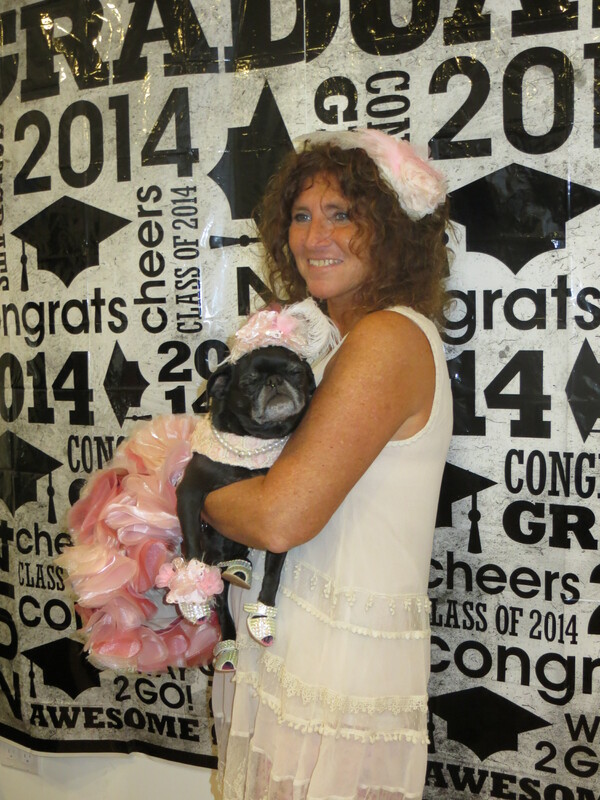 Lisa Coplin Kerner and Rose the Pug took home the prize for best matching outfits in their signature pink ensemble by Orostani Couture. A big round of applause to 2013 King and Queen, Gia and Mr. America who took their final walk as prom royalty. Both pups are regulars on the doggy social scene raising funds for animal causes. Bella Mia and King Tut have big doggy shoes to fill. (Literally in the case of Mr. America who is a Leonberger – BOL!) Congrats to Bobbi and Roberto on another successful event! Nice goody bag, too! We love our new LazyBonezz leashes! 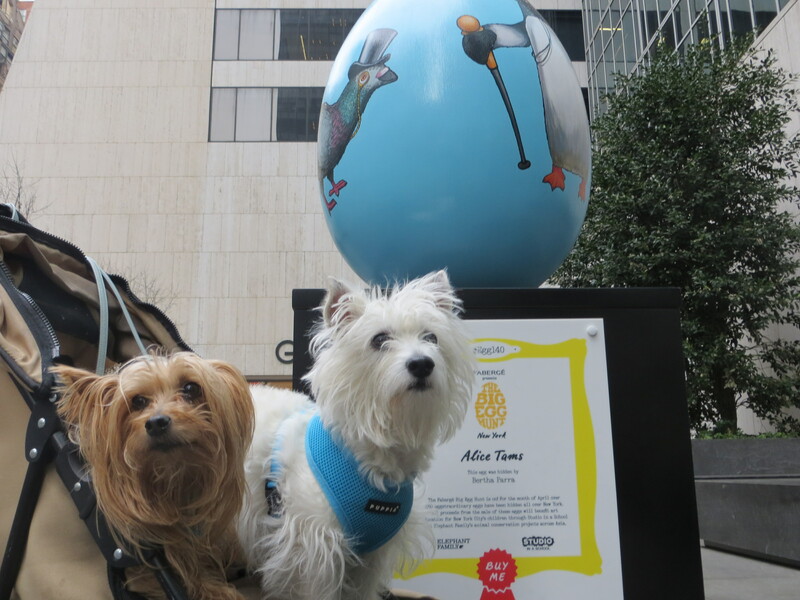 We didn’t have to venture far to find the 260 beautiful eggs that were hidden all around the city. Last week they were all brought over to decorate the 30 Rockefeller Center plaza before being auctioned off for charity through Paddle8. Proceeds from the auction will go to Studio in a School, an organization that brings arts programs to public schools, and to Elephant Family, an organization working to save the Asian elephant. Decorated by artists and designers (Martha Stewart, Ralph Lauren . . .) and presented by Fabergé, the 2.5-foot tall eggs are part of “the world’s biggest egg hunt” in a major city. The Fabergé Big Egg Hunt website has links to maps, photos, and auction information. Jeff Koons even decorated an egg that will surely sell for hundreds of thousands of dollars . . . but probably not as much as his $50 million orange dog . . .
We can’t wait for spring flowers to bloom in New York City! 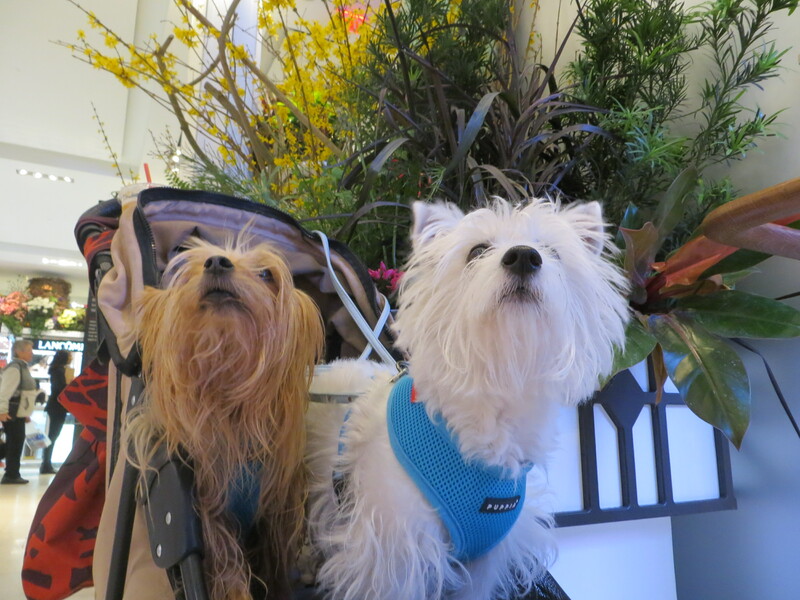 In the meantime, we’ll stop by Macy’s Herald Square every day through April 6 to see their beautiful flower show! There are over 30,000 blooms this year in Macy’s newly renovated main floor. Visitors are greeted by a 14-foot tall “The Lady in Red Dress” beautiful floral sculpture at the main entrance. We felt like we were in a special fairy tale land! It did feel like a Secret Garden in the middle of the concrete jungle . . .
What do you get when you cross some Pup Scouts with a Puccini? 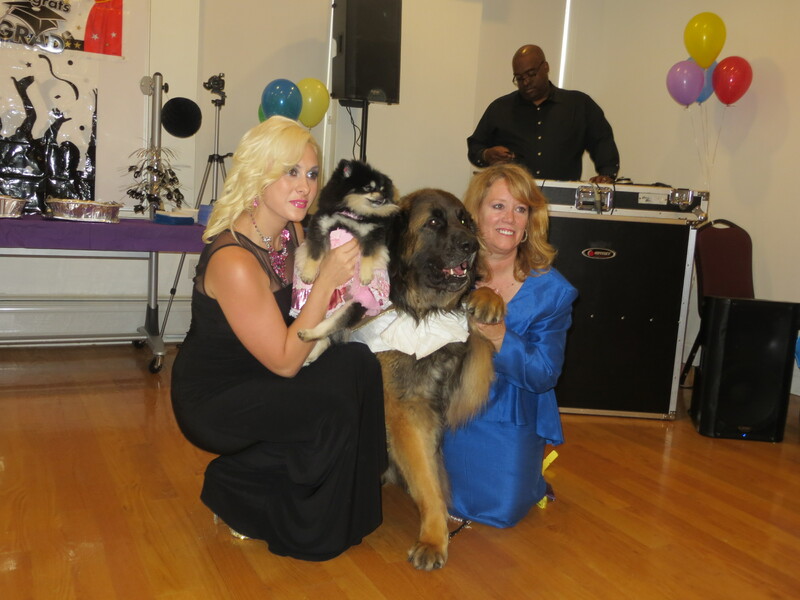 A fun dog-friendly party raising over $1,300 for the Mayor’s Alliance for NYC’s Animals! Puccini, a Maltipoo on a mission, decided to dedicate his 6th birthday party to one of his favorite causes – homeless animals. He enlisted his Pup Scout doggy friends to help out by donating their time and talents to the cause. Puccini’s party kicked off Pet Fashion Week and pups from around the nation came to wish him a pawsome year. Held at Honda of Manhattan on the west side, party goers enjoyed food, drinks, doggy treats, a silent auction, games, and photo opps. Dawn Deisler made an amazing doggy portrait cake!